New Zealand is inarguably one of the most beautiful countries in the world. With so much culture and natural beauty to be discovered on this island, it’s no wonder so many travellers flock in their masses to find it. And, if you’re a rather active traveller, rest assured there’s plenty of places for you here, too. Of course, if you are planning an ‘adventurous’ holiday for yourself and the family, or whether you’re travelling solo, it’s important to keep yourself well protected. This check list ensures you’re covered for an emergency. Staggeringly, 28% of travellers don’t cover themselves with adequate insurance either, so make sure you’re not the one caught out. Here are just some of the best hiking opportunities New Zealand has to offer. For what is perhaps New Zealand’s most beautiful spot of all, head to Milford Sound. Although often seen upon a cruise, this fjord is better off explored on foot – disembark in this natural wonderland and discover one of the most incredible sights on Earth. With limestone cliffs protruding majestically from the emerald waters and dense forestry upon them, the hiking potential here is almost unparalleled. Some parts of Milford Sound are admittedly more challenging, but the perks are more than worth it – with stretching panoramas boasting waterfalls, wildlife and sprawling views, there’s a reason why this part of New Zealand is so popular. 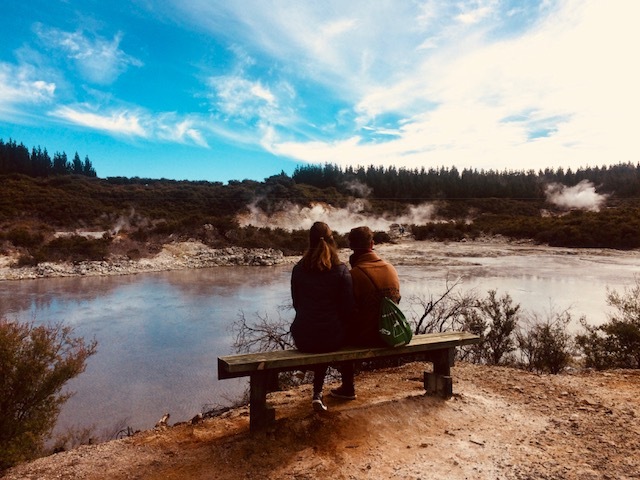 Head to Rotorua if you want to discover a prevalence of culture whilst you explore. It’s a town renowned for the prominent Maori culture, boasting the highest Maori population of any town in the entire country. Be sure to try a traditional hangi (feast), as recommended by Audley, during your time here. But if you’re focused on the hike, rest assured it’s one of the best places for it. The Thermal Plateau has some of the most wondrous geothermal features in the country, with everything from cave formations to dense forests, with mud pools and gushing geysers in between. This will prove to a be a hike unlike any other. If you’re up for the challenge of hiking upon a volcano, head to Tongariro National Park. There’s countless routes here to discover, depending on just how long a hike you’re looking for – shorter hikes such as the track towards the Taranaki Falls or the Ohinetonga Lagoon circuit are best suited to the less-experienced explorer. However, you could potentially spend up to eight hours here exploring the sprawling park. The Tama Lakes boast a track that could take just that long if you take your time, taking you through a vast majority of Tongariro. And then there’s the volcano itself – it isn’t an easy climb, but if you’re up for the challenge it’s all yours. 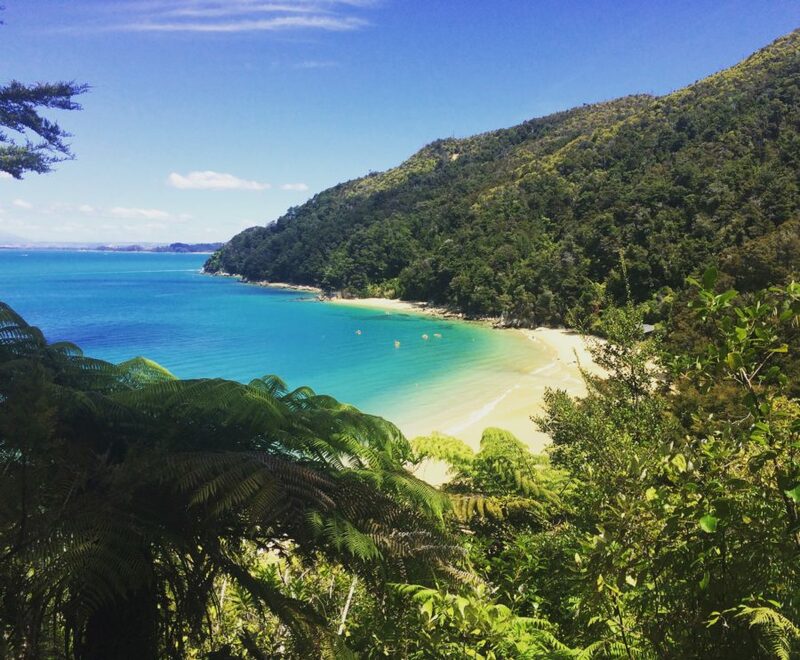 Another of New Zealand’s national parks, Abel Tasman is very different from Tongariro. Instead of hilly treks and a volcano to boot, you’ll find some lush forestry that gives way to beautiful, glistening beaches. 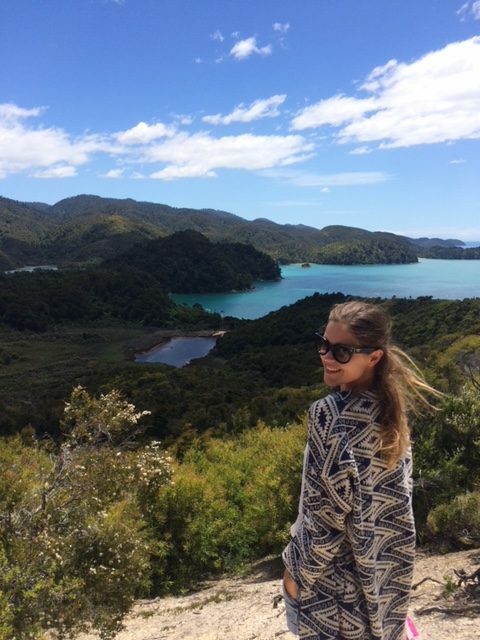 Hike to the top of Abel Tasman’s hills for stretching views out towards the horizon, the sun-soaked surroundings perhaps the closest thing to paradise in the country. This is the perfect destination for a first-time hiker, especially because the terrain isn’t as challenging as some other entries on this list. And, as an added bonus, you’ll discover some of New Zealand’s natural beauty as a result. If a hike isn’t really your thing and you simply want a casual stroll, consider Napier’s Art Deco Walk. This city is full to the brim with incredible Art Deco architecture, with some prominent historical value accompanying it – it’s indisputably New Zealand’s most stunning city of all. The level of maintenance and upkeep that has so evidently gone into the city’s appearance makes for a fascinating trip, and as you walk upon the streets gawking at the many beautiful buildings before you, make sure you take the time to appreciate the history and how Napier came to be how it is today. Here you will find more interesting places that you definitely need to visit in New Zealand!